I recently received a comment from someone who saw our kerosene lantern video on YouTube. They couldn’t see any benefits to burning kerosene lanterns over using battery powered LED lights. I can see lots of benefits and reasons why You Should Be Using Kerosene. Kerosene oil is one of the oldest forms of fuels. 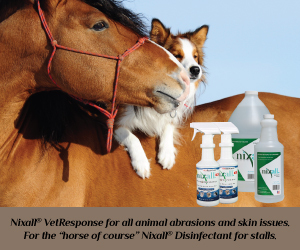 It was first discovered in the 9th century by Rāzi in Persia. He described two methods of making the stuff. 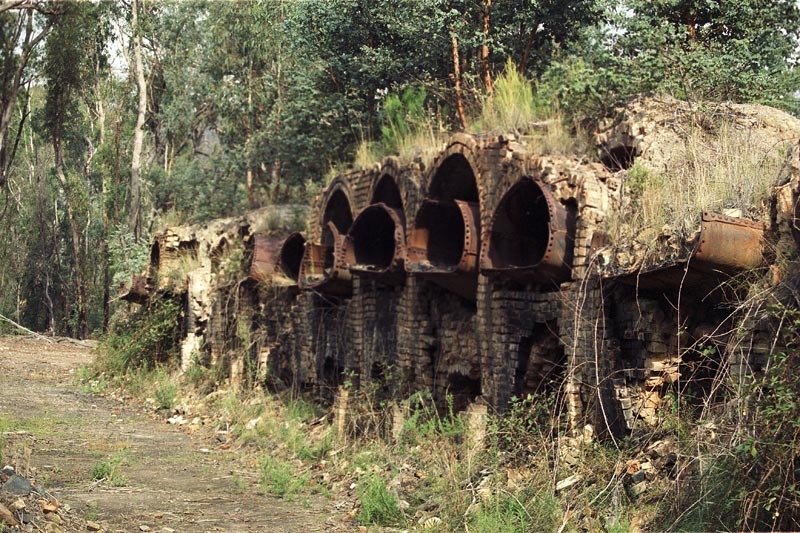 It was later “re-discovered” in the mid 19th century by a number of different people in the coal industry because they saw its potential for various uses. Up until this point, lamp oil and the like was supplied by the whaling industry using whale blubber. What will you do when the grid goes down? We all know its a matter of time. Perhaps it will be a man-made economic collapse. Maybe a war will come to our shores. There are any number of other scenarios suggested by people who talk about these things online. This eventuality is one of the reasons we moved where we did on An American Homestead. When this happens, will you be able to get batteries at the store? Maybe you will stock up on batteries, but they will run out eventually. 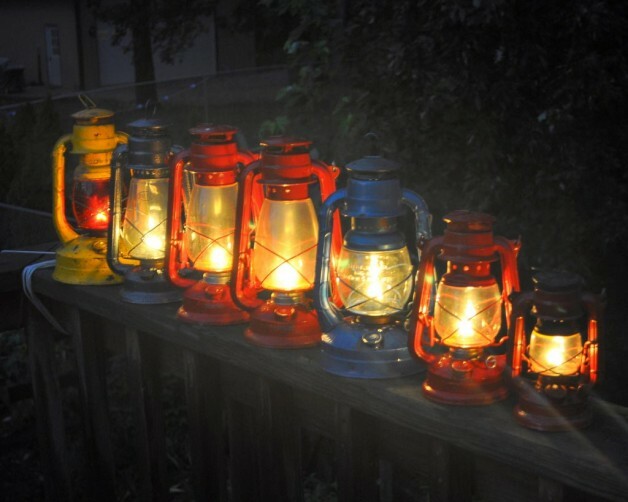 However, having kerosene lamps and lanterns solidifies your ability to have light in the long run. How can I make such a claim? Easy. Kerosene takes little to no modern technology to produce. In fact, I’ll be so bold as to claim that kerosene will be one of the first resources to come back into trade once a REAL collapse happens. Especially in the United States! Stay with me here and let me plead my case. At the time of this blog post, the people around the United States are noticing the extreme drop in gas prices. It’s nice to finally see gas prices at almost under $2 a gallon and falling. Why do you think we are seeing this giant drop, especially after the last few years of gas prices flirting with $4 a gallon and up? The answer is simple. The OPEC nations over in the middle east are paying attention to the shale industry that is getting off the ground in the United States. The last 2 years have seen the U.S. shale industry shift into high gear to produce fuel for our consumption. Right now, shale production is expensive and world oil prices need to be above $70 a barrel for there to be any value in that production. However, with increased industry comes advances in technology and the costs of production go down. If the cost of shale oil production goes down, that puts the OPEC nations in a tough spot. It makes it harder to sell their oil to us and others when we can now afford cheaper shale oil made right here at home. OPEC is hard at work trying to flood the market with their middle eastern oil in order to drive the prices down. They have one goal and one goal only in mind: DESTROY THE SHALE INDUSTRY IN AMERICA. America is super rich in shale and coal. Its everywhere! In fact, when our well was drilled here on our homestead, a whole bunch of shale rock spewed out of the hole during the drilling. Some of the biggest production of shale in the United States is in Colorado, but really its all over the place in various forms. So what does this have to do with kerosene? Kerosene is one of the first by-products of shale or coal. When coal or shale is heated up, it begins to “sweat”. This “sweat” can be collected and distilled. That is Kerosene. The name was first used by Canadian geologist Abraham Gesner in 1846. The process is so simple, as mentioned above, it was found in texts as early as the 9th century in Persia. By the late 1800’s there were places all over the world making kerosene and it basically put the whaling industry out of business. Kerosene was a brighter and cleaner and CHEAPER burning fuel unlike what had ever been used before. On top of that, it was very simple to make. 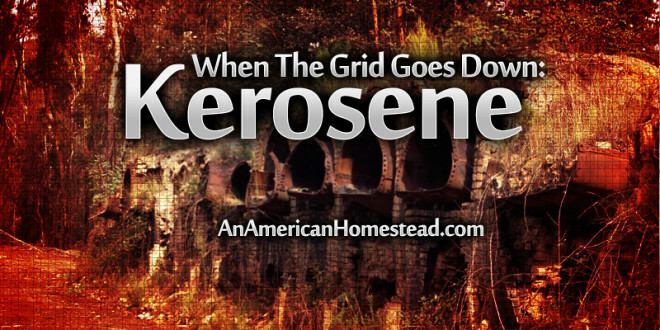 My whole point is that if/when the grid goes down, kerosene will be one of the first commodities back on the market, available for sale or trade. Bet on it. Shale and coal in American is so widely available that getting your hands on it will be easy. Please consider this. America (at least where I hail from) has an obsession with barbecue. St. Louis, Kansas City, and the State of Texas all compete over their ability to make the best tasting barbecue. As a result, the charcoal industry in those areas is big business. Every grocery store sells bags of barbecue charcoal. Every charcoal plant in the United States right now has the ability to turn into a kerosene plant. Charcoal is made with a retorting process. Kerosene is made the same way. During a collapse, how many backyard barbecues do you think Joe Sixpack will be having on the weekends? The plants that once produced charcoal will and can easily be switched over to make kerosene with the rich coal and shale deposits that are all around them. From the very onset of building our homestead, it was our intention to get to the point of only consuming wood and kerosene for our energy needs. Of course we still need gasoline for the vehicles and diesel for the tractor. 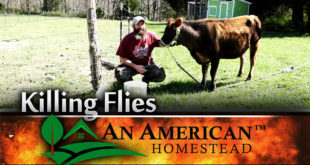 However, with receiving the 5 gallon still from Claw Hammer Supply, one of our advertisers, we now have the ability to create the fuels we need for all but one of our homestead vehicles. One of our vehicles is already set up to run E85 right out of Detroit. Another would need a small adjustment in the carburetor and our diesel tractor can be configured to run on an alcohol mixture as well. There is not much manufacturing left in America. Most of it has moved overseas. Making kerosene requires no modern technology. We have the ability to easily make retorts for its production so that kerosene might in fact be the first thing back on the market after a real collapse in this country. I believe that if we can limit our dependence on fuel sources to mostly wood and kerosene, the effect that a collapse may have on our family would be limited in that area. Zac, I’m glad you put this post up. Too many people have yet to know the value of kerosene. We have three dietz lanterns and 1 from walmart. They provide enough light to move around. I (Jaimie) try not to do much cooking after the sun goes down. I try to do the majority of my food prep and dishes while it is still light. If we eat after dark, I’ll just leave dinner heating on our wood stove. Sometimes I’ll leave a few plates or utensils to wash the next day. We do read a lot in the evening. I just sit a lantern right next to me. On a side note. If you decide to change over to burning kerosene you gotta change your wicks. It’s always a good idea to have extra wicks on hand. They are cheap now and would be worth their weight in gold after TSHTF. Can u show us how to make cerosine by your own? 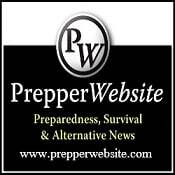 Awesome article….this has definitely convinced me to use Kerosene lamps when we move off grid this spring…thank you for this! Good article but disagree with assessment on why oil is dropping. Quite a number of energy analysts, very astute ones I might add, believe that the US has pressured Saudi Arabia and some other OPEC nations to turn on the spigot to drive oil down to bring down Russia, Iran, and Venezuela. These actions are having the desired effect. The Russian ruble is down about 50% against the dollar and Venezuela is having a very severe financial crisis. We do not know the effect on Iran because it is a very secretive nation. That may be partially true, Janis, but this current administration is primarily at war with domestic energy producers. You just need to look at the XL pipeline fiasco and its unfavorable stance toward fracking to see that. It just happens to be a happy secondary effect that it negatively affects Russia and Venizuela AND gives the administration a (false) talking point that they engineered the whole thing for strategery. These knuckleheads couldn’t engineer a cube out of a full set of Lego. I have a 820 john Deere diesel tractor . How would you turn it to alcoholic thank you. If they drive prices down, put people out of business, drought land areas, they can come in later, buy cheap, maintain their control/monopoly. Very timely article for me. I was just figuring out which oil and which lamp. I read the other article about lamps. This one helped me decide on kerosene. Thanks. necessary steps taken that had occur on the pc and itune. Interesting article. What brand and model of diesel tractor do you have? Only one diesel I know of that has a carburetor was the first generation International Harvester diesels. And they were just for start up. Look at Aladdin Lamps for your lighting needs. They’re very bright (similar to a 40 to 60 watt lightbulb), burn Kerosene, and are attractive. They also produce a good amount of heat. We use them nightly in the winter, and they warm and brighten the room. They are still manufactured and sold, but I’ve had good luck with the antique ones, which can be had for reasonable prices on Ebay. Several of mine are over 80 years old and still work well. Word of Caution: Read instructions or buy a book about them. They can be a little temperamental. But the pluses outweigh the negatives. Look for Model 12’s or later models, as these seem to work the best and parts are available. The older ones are more for collectors. This is still not a renewable resource, and the main point of all this is to be free of anything that is not renewable. 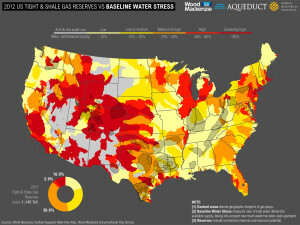 When the well runs dry, guess what happens to the price and availability of whatever the well provides? Come on America! There is a lesson being taught right now, and we must all learn it, or our way of life will end, and Mother Nature will have her way. This is NOT going to be pretty, folks. @Tim Woodart I think the point is to survive. But less flippantly, it is important to note that while kerosene made from oil shale or coal is not renewable, as the article mentions (but doesn’t emphasize) very similar liquid fuels can be made from wood and other cellulose sources as well as vegetable oils. It’s not aa trivial to do as getting it from oil shales or coal, and the energy and pre-treatment requirements make it non-viable economically compared to other sources of kerosene using conventional industrial technologies. But it can be done, albeit at low efficncey. There is a lot research being done to make it economically viable to produce from waste materials, and some of those (I’m thinking fermentation with engineered microbes) have the potential to be exploited by homesteaders post-SHTF. You could havre your sourdough starter made from what was saved after fermenting the prior batch to make bread. And you have your saved starter for kerosene making wood pre-treatment. Speaking as someone trained as a molecular biologist, its only requires a lab or heavy duty scientific knowledge to make the strains. And biohacking is developing that skill tree fast. See http://www.the-odin.com. Once made, the knowledge base is more on the lines of baking bread and brewing beer. As aside, the same process has the potential to use easily grown microbes to do jobs that currently require a considerable industrial base. This will likely allow production of an increasing variety of medicines and other useful material for homesteaders without resorting to industrial inputs in the relatively near future. Finally, it is good to keep in mind that a collapse of industrial manufacturing drastically changes how fast the well will run dry. There isn’t a lot of functional difference for people just trying to keep themselves and their kids alive between ‘fully renewable’ and ‘won’t run out for hundreds or thousands of years.’ I’d agree that the philosophical difference is huge. Functional difference? Not so much. So how do you actually make the kerosene from whatever you are using as a source? How is you system setup? And have you seen that people are making kerosene from plastic?